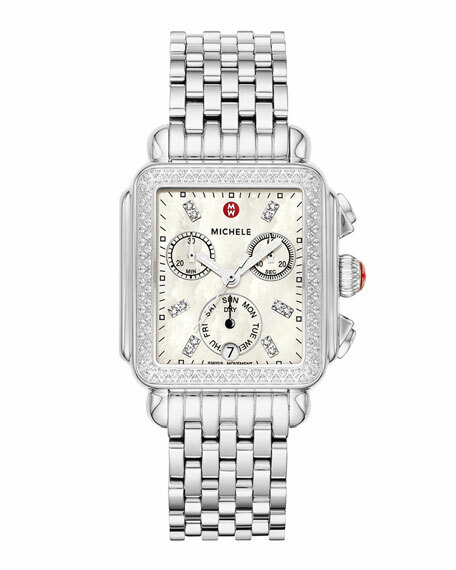 Stainless steel case with 120 hand-set white diamonds; 0.67 total diamond carat weight. 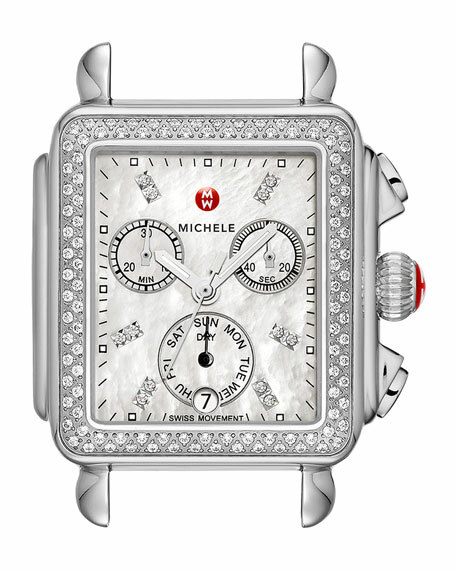 Natural mother-of-pearl dial with diamond numeral markers. Three subdials measure second, minute, and date function.